Aussie slang, sounds and game! - Typical Australian phrases and words with usage examples. - Pronunciation sounds recorded in a genuine Australian accent to help you say things like an aussie! - A Slang word of the day widget, so you don't need to navigate to the app every time! - Fun images that describe sites across this great sunburnt country to get you into the swing of things if you're visiting soon! - Introducing 'Places' - Our coolest new feature. Every picture has a navigable link, just tap on the location pin and choose your favourite navigation app! 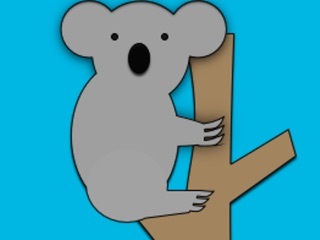 - Interactive Slangman game to practice the australianisms you've learned. - Can't find a phrase? No worries, just use the dictionary to submit a phrase or term to us. If its selected, we'll acknowledge you in the app! - Gaming Leaderboards to help you compete with other players worldwide in your quest to learn how to speak like an aussie. - Share Australianisms with your mates in one easy step. If you're travelling to Australia any time soon Strayamate is your essential Australian mate, mate. Features lots of local phrases and terms as well as beautiful photos from places around the country and a game to keep you engaged while you become familiar with all of our -isms! - A "Slang word of the day" widget for your homescreen - get reminded of a new phrase every day! - A completely new UI. - A new help and onboarding screen! - More words including more contributions from you! - Some bugfixes around the headings of the vocab term screen which was being truncated.